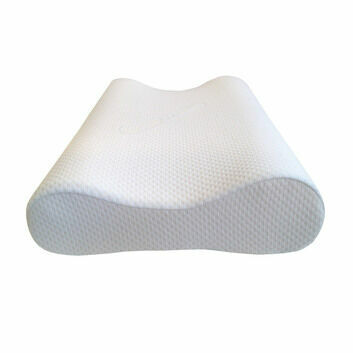 If you suffer from knee pain at night, our knee pillow is designed to relieve discomfort and provide the necessary support. 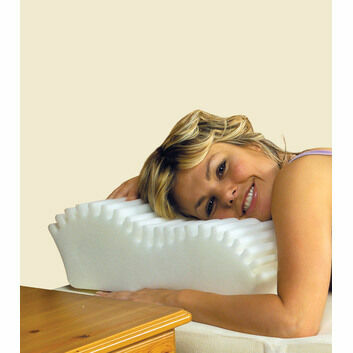 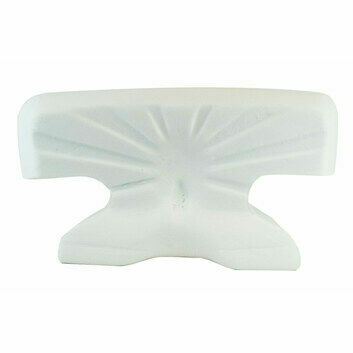 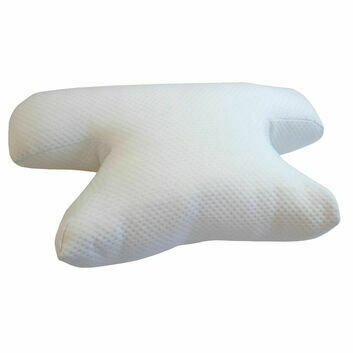 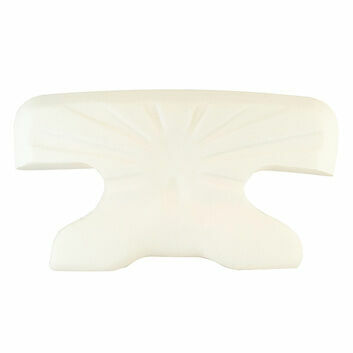 Made with our superior quality foam, it is best suited to those who sleep on their side. 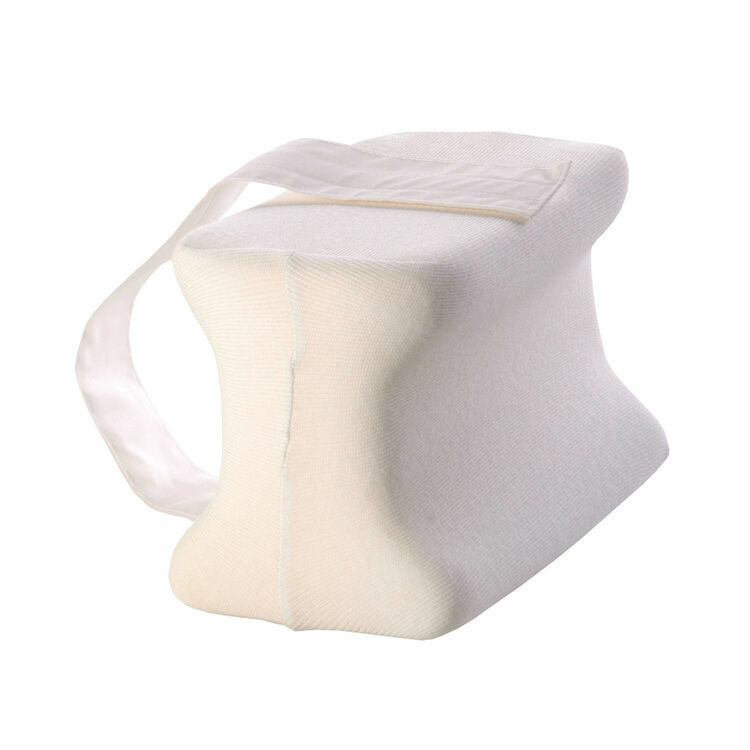 The knee pillow provides cushioning to the knees, redistributing the pressure caused by sleeping on your side and helping to naturally align your pelvis. 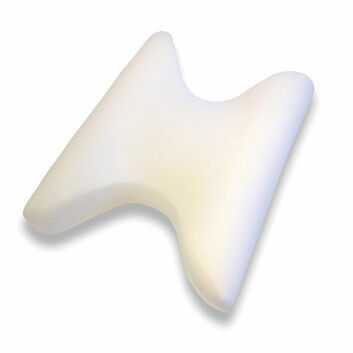 It can also help those with hip problems by helping to align the hips, and has also been recommended for help with coccyx pain, arthritis, sciatica pain and bursitis. 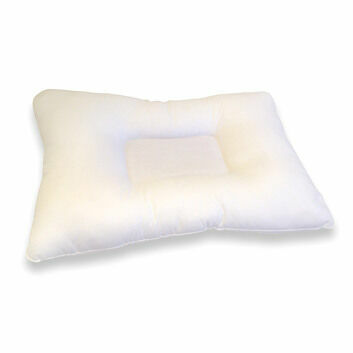 Our pillow includes an adjustable Velcro strap to keep it in place. 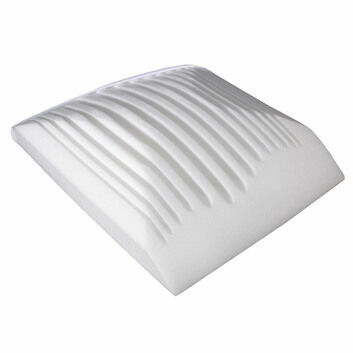 We also provide a removable zipped polycotton cover. 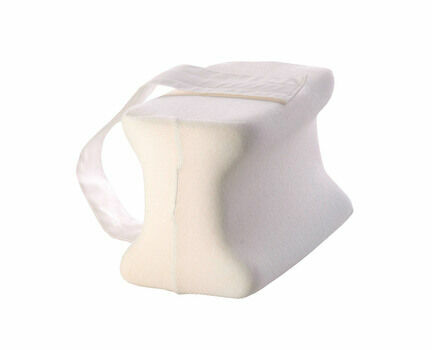 Suitable for: Sufferers of symphysis pubis dysfunction and pelvic pain. 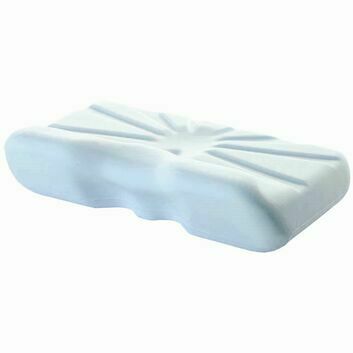 May also help with patellofemoral pain, arthritis, anterior knee pain syndrome, osteoarthritis, housemaids knee (bursitis), Osgood-Schlatter disease.